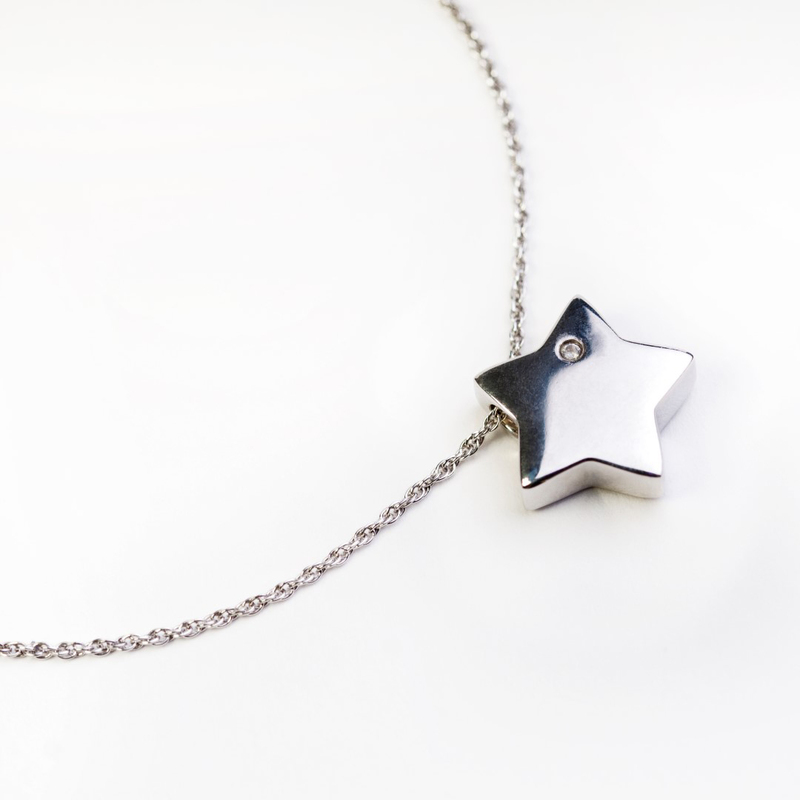 This beautiful sterling silver star with a single crystal has been specially adapted to hold a small amount of your loved one's ashes. The crystal has been placed in the star to resemble our heart felt love. Included in the silk presentation box is a special allen key to open the back of the pendant and a funnel and instruction to add the ashes.